The new newspaper came out today! (Woah, the new thumbnails look so weird!) 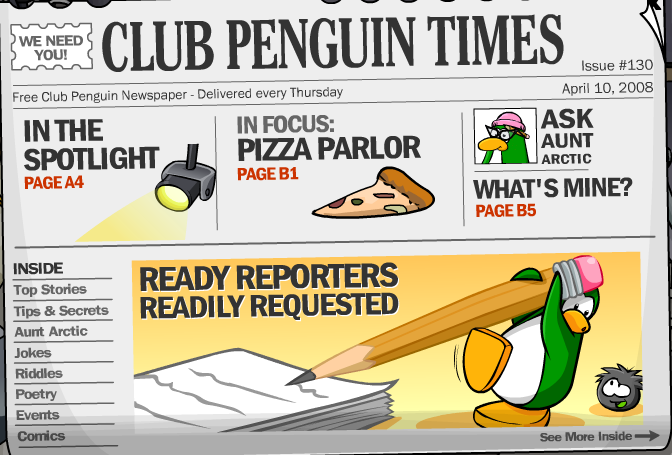 It talks about the Stage, this weeks room ‘In Focus’ is the Pizza Parlor, there’s an article about submitting articles, & lots more! 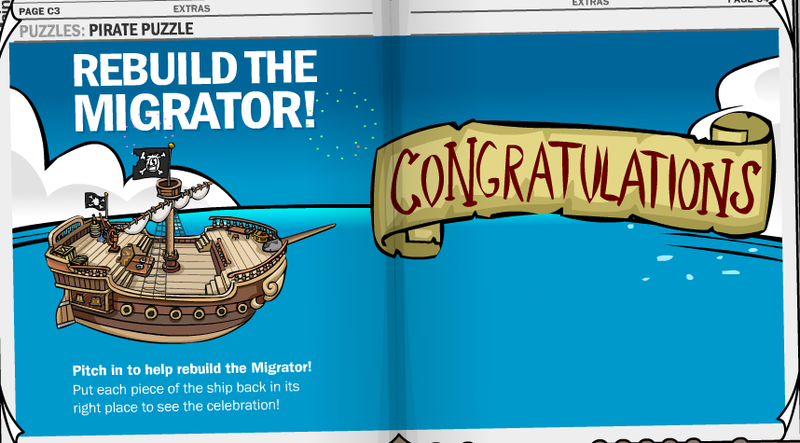 There’s an article about the Migrator completion (more about that below). See the note in G’s pocket? It’s a secret not for agents about Mission 7. When you do, a hidden message appears. I think Herbert means he’s gonna do something to the Clock Tower. I wonder what. This weeks puzzle is a pirate one. You have to assemble the Migrator. As I mentioned above, the Migrator is completed. G made a new machine to launch giant fireworks into the sky to get Rockhopper’s attention. It’s called the ‘Flare Flinger 3000’. I find it addicting, I wish it could stay. The Flare Flinger picks up the orange fireworks, stuffs them into tiny cannons on the side & blasts them into the air. Then the room flashes orange for a few seconds. 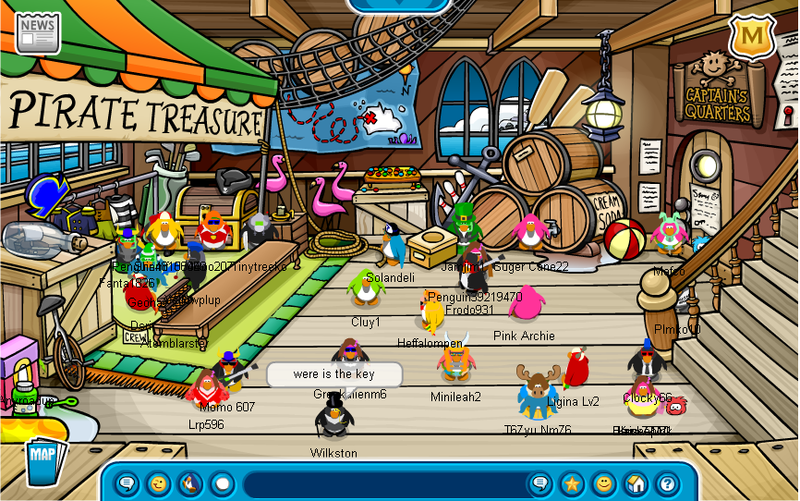 Rockhopper will be surprised by what he finds when he arrives. 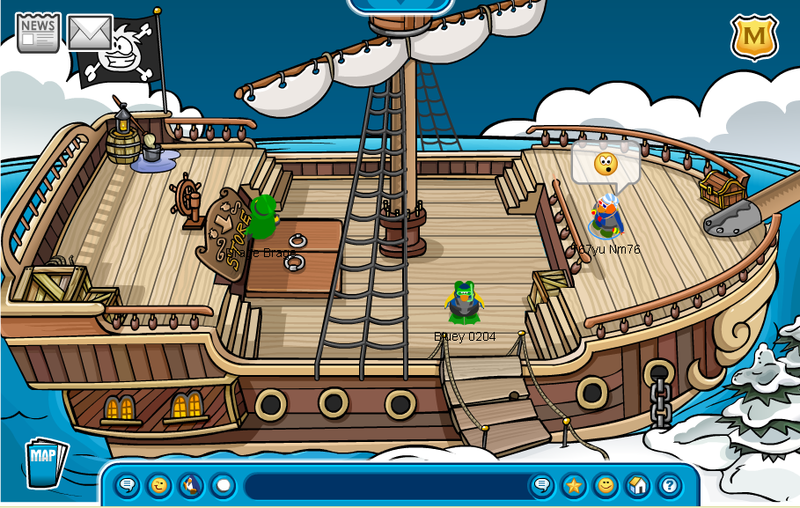 The Migrator is as good as new. On the 14th his journal will be placed on the ship too. Billybob posted a sneak peek of Mission 7 on the Oficial Blog.